Collaborative project with James Weeks, Thomas Field, Briar Sheerin, Jared Thompson and Spring EJ. For this project I took on the roles of team leader and was in charge of all communications with the client. 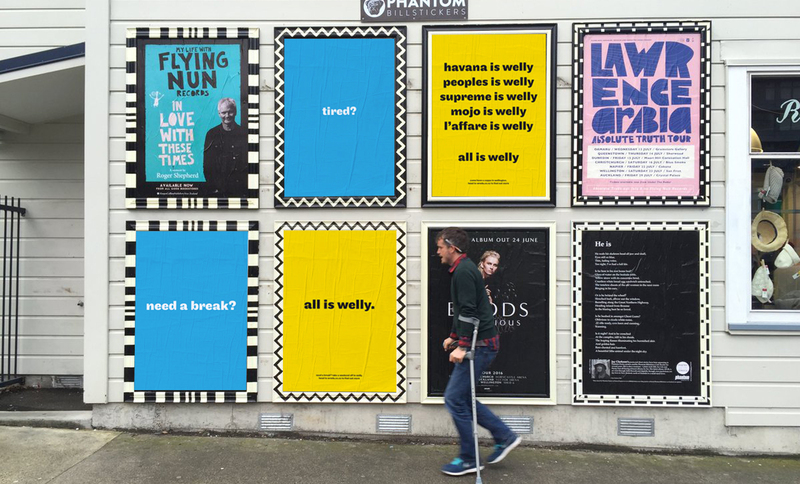 All is Welly is a conceptual city identity for Wellington, New Zealand. This project was our response to a brief given to us by the Wellington Regional Economic Development Agency, asking for a "unifying logo or mark" for the city. To sum up a city as diverse as ours is no easy task, and we soon realised it was going to take more than one static logo. 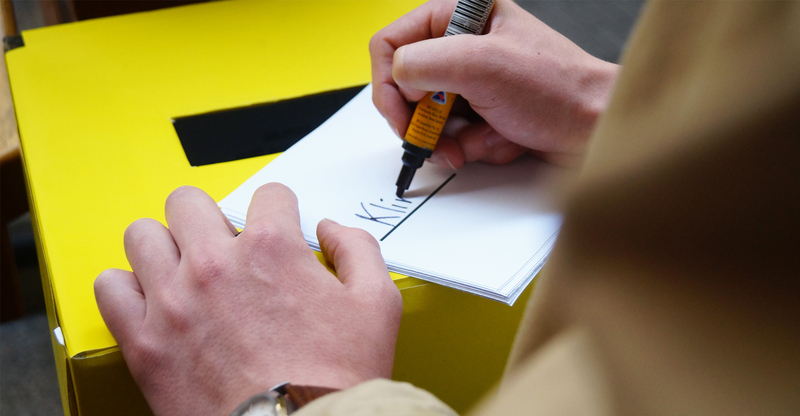 Through primary research, and our own first hand experience, we identified the one constant in Wellington: change. 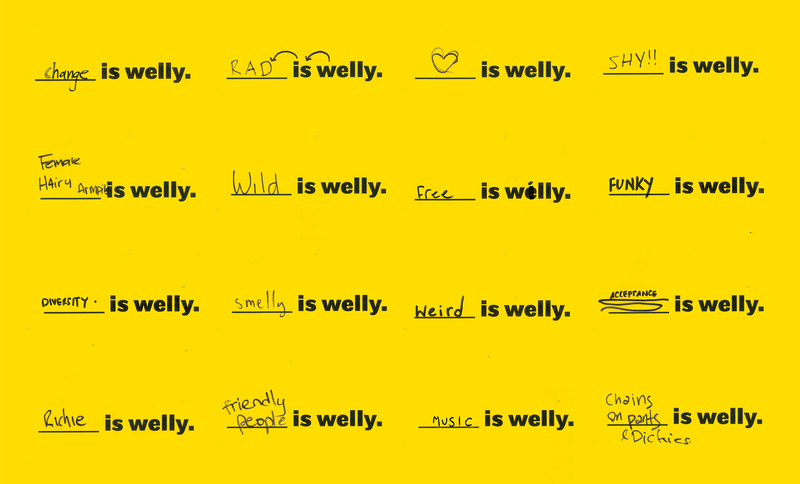 From this I came up with a dynamic brand identity, that centres around the reassuring slogan 'all is welly', but could expand and adapt to almost any other context. 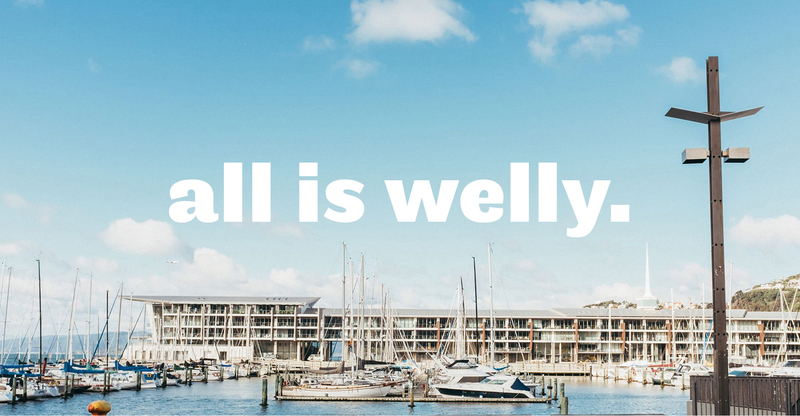 The fluidity of this concept works to celebrate all that Wellington has to offer as well as ensuring longevity. The understated, yet bold design also works to ensure its relevance persists. Maple, by Process Type Foundry, acts as the perfect vessel for this concept, and a nice quirky face for Wellington. 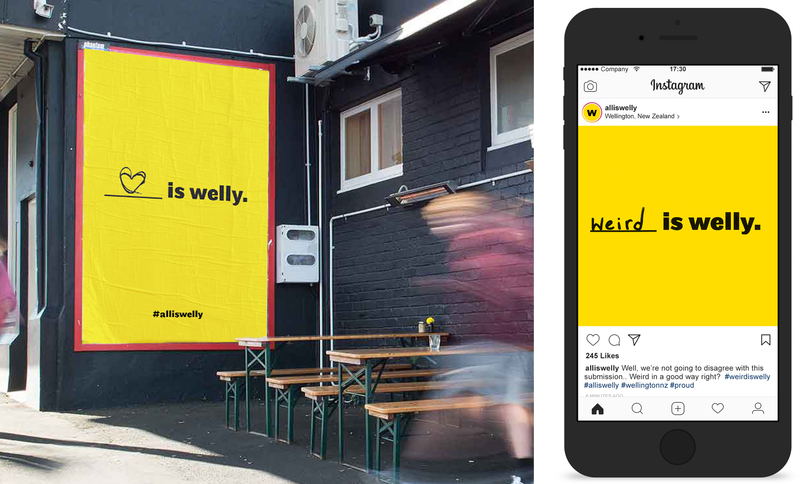 We realised how important the people were to Wellington, and so, put the question to them: what is welly? Testing this revealed a wide range of unique, often hilarious and truly genuine responses. Responses that when fed back to the public through social media and posters will resonate with a wider audience. 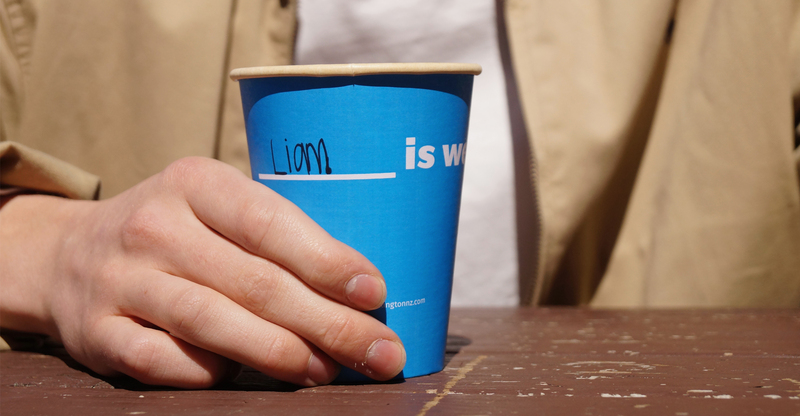 This 'blank space' approach also affords engagement with campaign in different, unexpected ways. 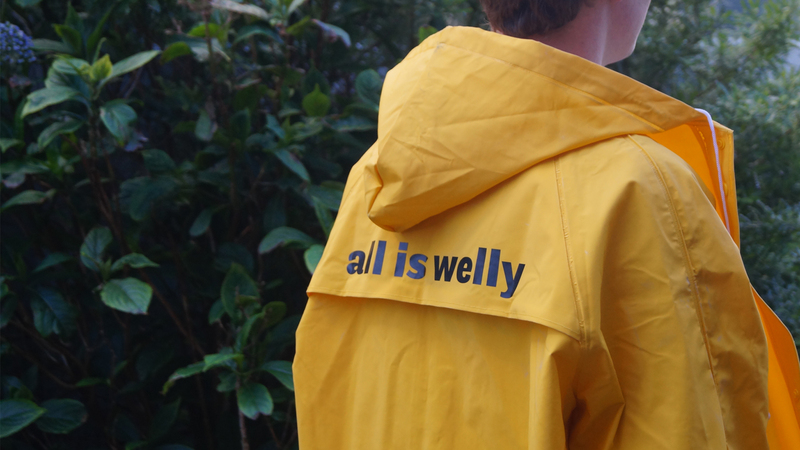 With our all is welly merch we’re not trying to do it all, nor are we trying to be something we’re not. We proposed rain jackets (no umbrellas), keep cups and tote bags. 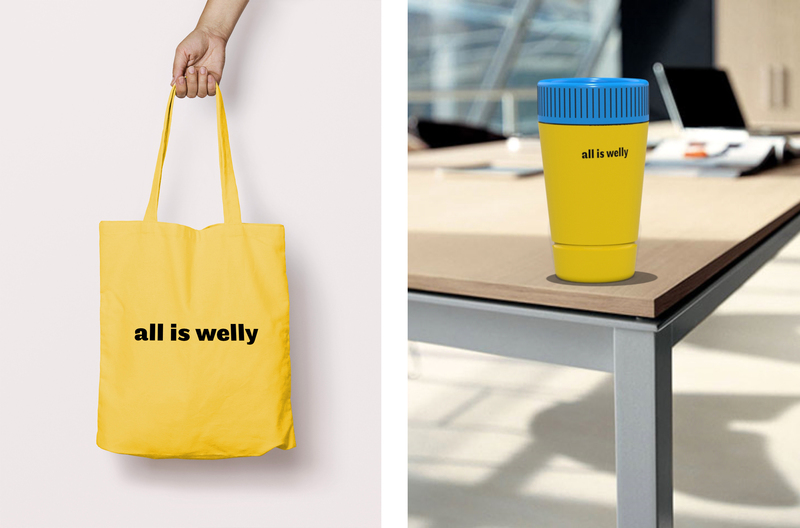 A small but undeniably welly merchandise range. The rain jackets play up on the subtle irony behind ‘all is welly’, acknowledging wellingtons often less than ideal weather, but makes it own-able, wearable even.